Are you having a good day? Well, Google might be about to ruin it. 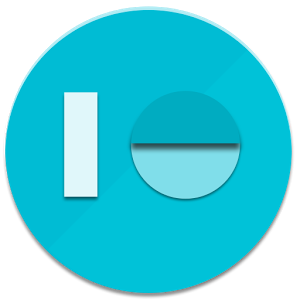 The Google I/O ticket drawing is complete, so you should have the results in your email. Acceptance emails started going out a few days ago, but now everyone else should have their rejection. Bummer. 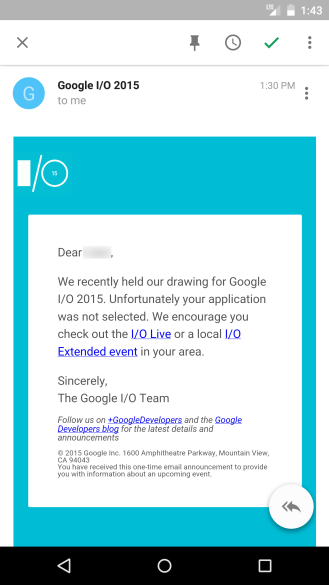 Google switched to the lottery system last year, which at least means you don't have to hover above the keyboard when registrations go live. However, it's impossible to know if you'll get a ticket. Those who won spots in the drawing will now have the option to pay $900 for a ticket. Most others will be watching from home. If you got a rejection email, don't completely lose hope. 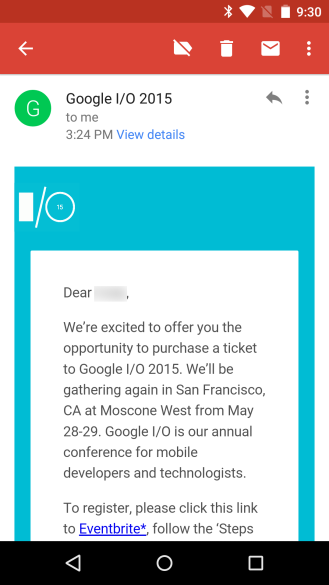 Last year there were some extra invite codes floating around in Google Easter Eggs. Maybe you'll still make it to I/O on May 28-29 this year.